Welcome back! This week I am beginning to focus on some of my concerns about renewable energy, which will continue into next week, and will move into discussing some of the negatives that aren’t being publicized – Again, I am not against renewable energy, but I’m afraid that we are pushing for something, which we really don’t understand the consequences. Personally, I believe we should continue to focus on renewable energy, while studying it – I believe our best bet is for us to have a balanced power portfolio among the different power sources. In contrast, only one nuclear accident has been attributed to more than ten deaths. That would be the Chernobyl disaster in Russia on April 26, 1986. I’m sure people have heard all kinds of numbers about the Chernobyl disaster, however, there were 31 deaths that occurred within a short time after the disaster, 2 immediately died from explosions, one from a heart attack, and 28 first responders died from Acute Radiation Sickness (or syndrome). The World Nuclear Organization has claimed that the death toll will roughly be between 4,000 and 9,200 (between emergency and recovery workers, and residents in the contaminated territories). Now I will also say that there are also people saying that the official reports are drastically underestimated, and claim that as many as a million people have died from Chernobyl (http://www.globalresearch.ca/new-book-concludes-chernobyl-death-toll-985-000-mostly-from-cancer/20908) – I don’t know, but the official report is less than 10,000 total. Please join me next week for more! This entry was posted in Electric Grid on July 18, 2015 by 1johnkitchen. Before I get started, I want to be clear – I am not against renewable energy. I just wish to explain why it isn’t easily feasible to quickly convert, and impossible to completely convert to 100% renewable sources. I would also like to express some of my concerns (in a future article) about renewable energy that I have not seen addressed yet. 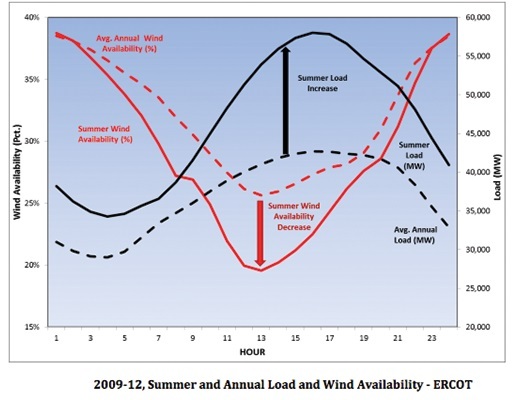 The black dotted line is the average electrical demand, the solid black line is the summer electrical demand, and the red doted and dashed lines is the electrical generation available through wind. If you notice, it is exactly opposite – the wind turbines are at their minimum generation abilities around the peak energy demand times. Now, on a normal day, solar power follows the demand relatively closely, but it actually begins dropping off at the very peak of the power demand. These graphs are smoothed out, and are over a large scale. In a localized area the demand is much more chaotic – fluctuating by the second. Even though solar and wind look like they can balance each other, their variations can wreak havoc on the electric grid – every time you flip on a light switch, you change the demand on the system and something somewhere has to be available to increase the power generation instantaneously. Essentially, this means that a coal or nuclear plant has to be backed down from generating 100% of its capabilities, to be able to provide for those fluctuations. What does that mean? Significantly higher costs. When you ask anyone how much it costs for solar power, all you will hear in return, is the purchase price of the panels, the necessary equipment, and the cost of installation. However, this added volatility to the grid causes larger plants to reduce their generation, but having to keep that power generation readily available to create a buffer for the variations caused by the solar panels. Although this is not a direct cost to you, it is a cost that our society has to account for (also discussed for wind here: http://www.continentalecon.com/publications/cebp/Lesser_PTC_Report_Final_October-2012.pdf). A lot of the information we have today has changed drastically over the years – especially for renewable energy. Before the last ten years or so, there just weren’t nearly as many facilities. Therefore, we didn’t have the large dataset of information that we have today. Please join me again next week on this topic – I will introduce some of my personal concerns about solar and wind power that I haven’t seen discussed yet. Please follow me and leave comments! This entry was posted in Electric Grid on July 11, 2015 by 1johnkitchen. Being in the power industry, and especially since I am currently working at a coal power plant, I get a lot of people asking me about Renewable Energy. More specifically, why can’t we just go to all renewable energy, what’s the hold up? So I’d like to spend the next few blogs in my Our Electrical Grid series to discuss some of the ins and outs of renewable energy. Both Biomass and Geothermal utilize the basic steam cycle. 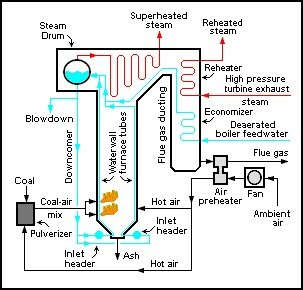 A Biomass plant is much like a coal plant, except it has special processes to handle and combust the biomass material. While geothermal extracts its heat from below the Earth’s surface, which is primarily from the decay of radioactive elements. Please review my Electrical Generation Basics post for this topic to review the steam cycle. Hydroelectric and wind are both similar, as they directly convert their energy source into a rotational motion – The sole purpose of the steam cycle is to cause the turbine to rotate. 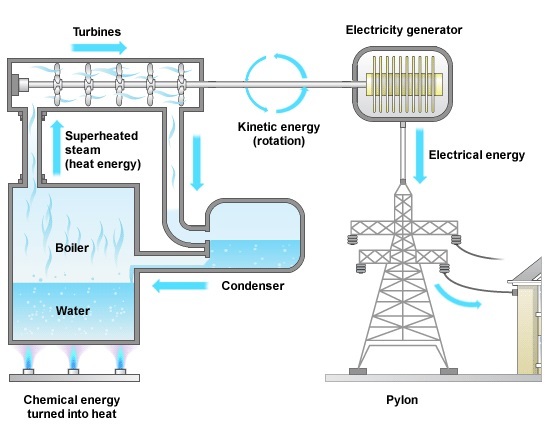 After the energy is converted into a rotational force, hydroelectric, wind, biomass, and geothermal all use a similar type of generator to convert the rotational energy into electrical energy. 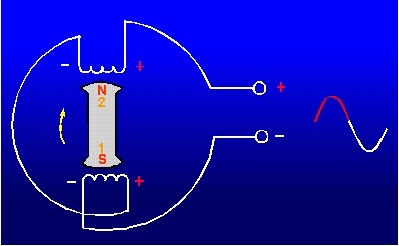 You may also review my Electrical Generation Basics post for this topic to review the basics of the electrical generator. 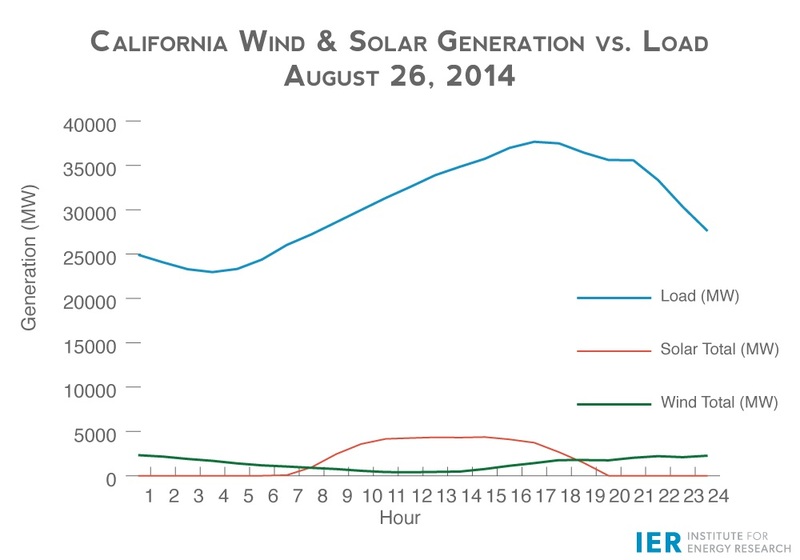 Solar is very different from the other renewable energy sources. It essentially uses a photosynthesis process to convert the sun’s energy into electricity. I will cover this topic in a later post on my renewable energy series. 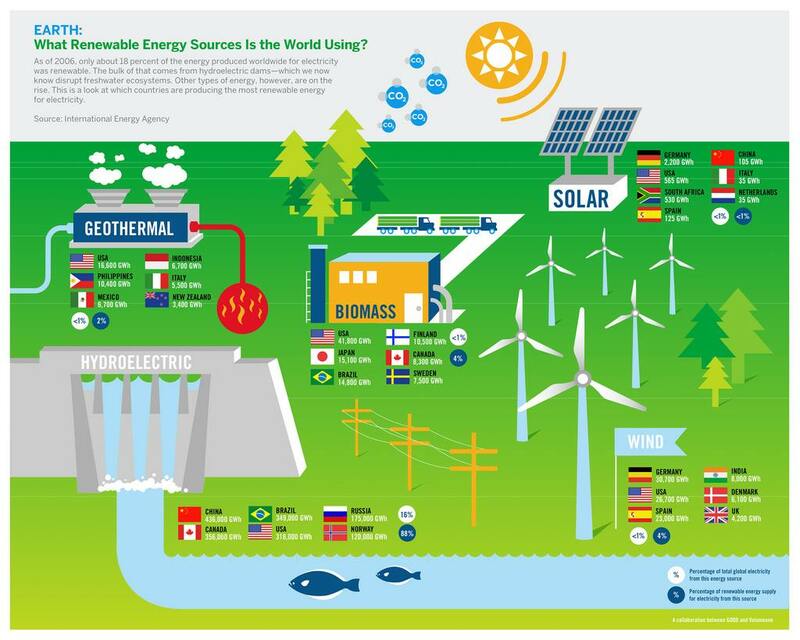 For my next blog post in this series, it is important to understand the sources of energy for renewables – Biomass, Geothermal, and Hydroelectric are the only renewable sources that provide a consistent source of electricity 24/7. Next week I will be discussing some of the negatives of renewables – Please sign up and follow me, or check back next week for more! Does anyone know what type of electrical generation source caused the largest immediate death toll? Please leave an answer in my comments section, and I will provide you with some more insight next week! This entry was posted in Electric Grid, Fuel Sources on July 4, 2015 by 1johnkitchen. In Our Electric Grid – Electrical Generation Basics, I introduced the basic steam cycle in my discussion. In Our Electric Grid – Fuel Sources Part 1, I presented the basics about coal and gas fuel sources. In this part, I am introducing the basics of nuclear fuel sources. 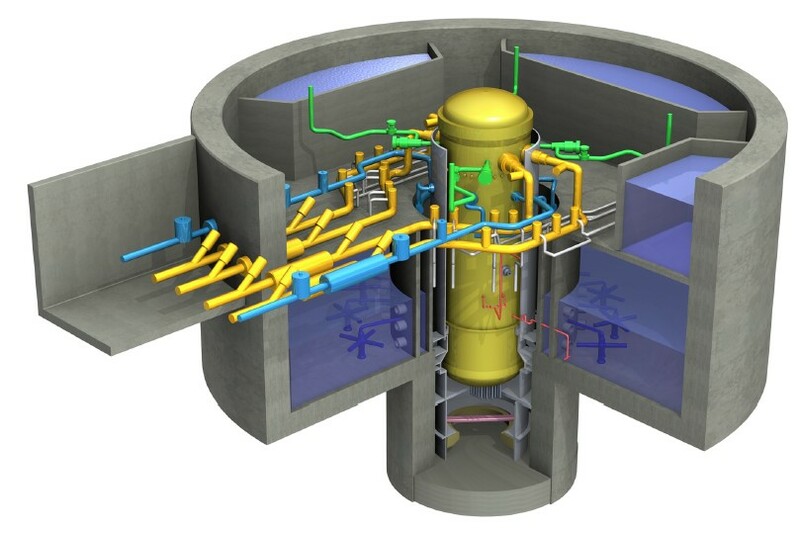 Now I will mention that there are numerous types of reactor designs, including different nuclear fuels, different fuel mixtures, boiling water reactors, pressurized water reactors, and different methods for controlling nuclear reactors. In my future blogs, I will be discussing the GE Hitachi Nuclear Energy – Economic Simplified Boiling Water Reactor (ESBWR), which is one of the reactors I studied for my bachelor’s degree. If you would like me to discuss another type in the future, please let me know in the comments below. In the ESBWR reactors, uranium 235 (abbreviated U-235). U-235 is actually found naturally, and is mined. 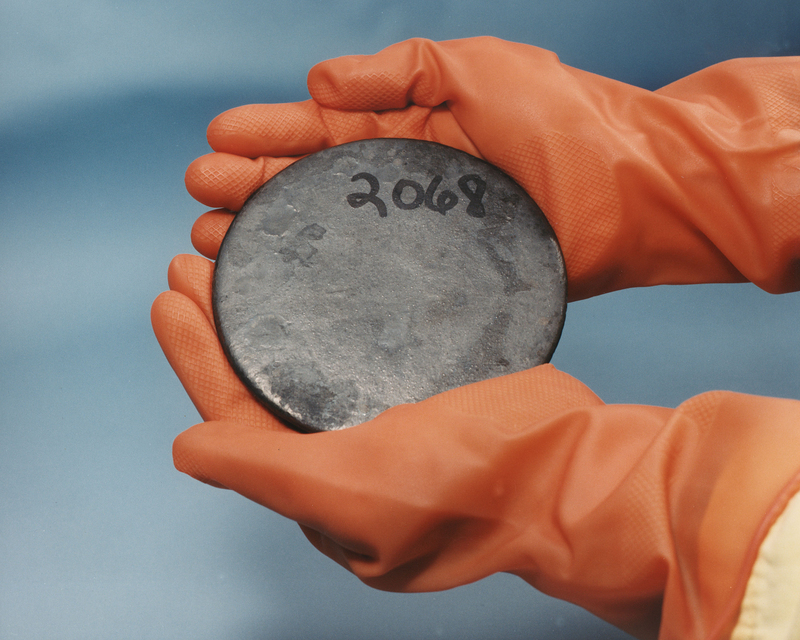 Although, natural uranium only contains about 0.7% U-235, the remaining 99.3% is primarily a U-238 isotope, which isn’t useful for reactor fuel. Numerous facilities exist that enrich the uranium by physically separating the isotopes of uranium. Civilian plants typically use 3% – 5% enriched uranium (they are prevented from using anything higher due to nuclear treaties), which is a level that is low enough that it is impossible to create a nuclear weapon with. Theoretically, one kilogram of U-235 can release as much energy as 1500 tons of coal, if it were able to fission 100% of the U-235. At the highest level, you can think of the uranium simply as a hot rock. Inside the reactor, while it is operating, the U-235 fuel is fissioning. (In a later blog posts, I will discuss how the process of how fission works in these reactors, safety concerns, and how they are controlled.) The process of the U-235 fissioning produces tremendous amounts of energy in the form of heat. Water is in contact with the fuel rods inside the reactor, which allows for the heat to transfer from the fuel into the water. In the ESWBR plants, the water is actually allowed to boil inside the fuel channel, which creates the steam. From there, it starts the basic steam cycle, as I mentioned in my Our Electric Grid – Electrical Generation Basics post. I will continue discussing nuclear power in the near future, but next week I will begin introducing some information about renewable energy sources – so stay tuned and leave comments/suggestions!!! This entry was posted in Electric Grid, Fuel Sources, Nuclear Power and tagged Electric Grid, Fuel Sources, Nuclear Power on June 27, 2015 by 1johnkitchen. Last blog post I discussed some of the basics about how electricity was generated, and introduced the basic steam cycle. This blog I would like to share some information about the primary heat sources for steam cycles of power plants; coal, natural gas, and nuclear. 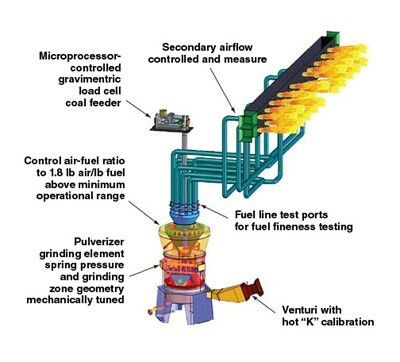 After the coal leaves the pulverizer, it is directed into coal burners, which assist in directing the coal, and the fire to maximize efficiency and minimize emissions. At the burners, coal is lit off into fire (initially by a natural gas flame, but the coal fire becomes self-sustaining and the natural gas is removed). The fires heat the tubes inside the furnace, which contain water, causing the water to boil into steam. The steam is then “superheated” by sending it through another heat exchanger downstream from the fires. After being superheated, the steam is then sent to the turbine, starting the steam cycle. There are two different methods for using natural gas – through a gas furnace, or by using a gas turbine. A gas furnace is perhaps the simplest of all the power sources for the steam cycle plants – it is simply done by burning natural gas through burners, similar to how coal is burned after it is pulverized. Thanks for continuing to read my blog! Next week I will continue this discussion of fuel sources, moving to nuclear fuel – please check back, and leave comments! This entry was posted in Electric Grid, Fuel Sources and tagged Electric Grid, Fuel Sources on June 20, 2015 by 1johnkitchen. Last blog I shared some basic information about the power grid, which I will expand on later. So for this blog post, I would like to share some basic information about how power is generated, which I will also expand on. In reality, these systems are much, much more complex, but I’m sparing the details for some more advanced blogs later, but I’ll share a little bit for future topics. The generation systems have to maintain a certain voltage output, and frequency, otherwise it would damage our electronic devices. Therefore, there are a lot of additional monitoring systems, protective systems, and regulation systems – the turbine speed is regulated to maintain generation frequency, and the electromagnetic field is also regulated to maintain the voltage output of the generator. For next week I will be discussing how the different fuel sources get broken down and used to create heat, and I’ll also discuss a microcontroller project I’m currently working on using an Arduino Mega – Follow my blog and stay tuned for more! This entry was posted in Electric Grid and tagged Electric Grid on June 14, 2015 by 1johnkitchen. I thought I would start out my blogging by sharing some basic information about one of the essential elements to our lives – Our Electric System. So, really, what is our electric system? At the highest level, our electric system starts with power generation. 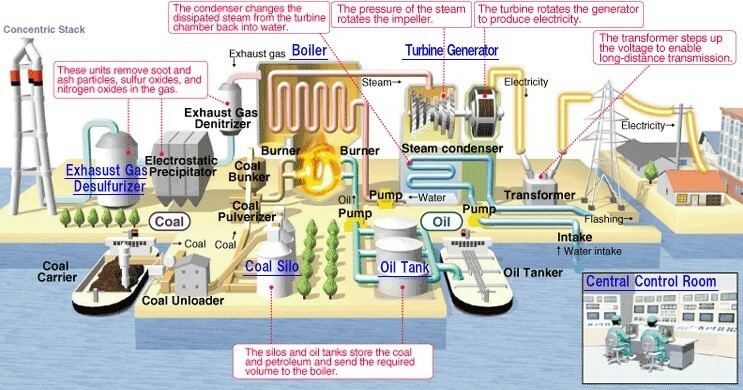 In the U.S. we have over 7000 power generation facilities, which includes coal, natural gas, nuclear, petroleum, and renewable energy sources (I will cover the basics of how each type of plant generates electricity in the near future). These facilities generate electricity, which they send out through transmission lines to various points. As electricity began developing, facilities began adapting our standard 60 Hz system (which I will explain later), and they started connecting multiple facilities together for improved reliability. Today, our electric system is split up into three different sections, as seen in the image above (image from NPR), with interconnections to the other sections – creating a more reliable source of power for our country. Since our country has suffered a couple of severe blackouts, and because our power grid is essential for national security and our wellbeing, the U.S. government has created a regulation agency. This agency is called NERC (North American Electric Reliability Corporation). NERC’s responsibility is to ensure the reliability of our electric systems by developing operational, maintenance, and basic engineering standards for “the bulk power system” (basically all generation facilities, and large industrial loads). NERC is split up into a few different regions (please open link to view map). Each region monitors companies that are tied into the bulk power system, and are responsible for auditing companies, finding best practices, and fining companies for compliance issues. Another organization to assist in the reliability of power systems are RTOs (Regional Transmission Organizations). These RTOs have massive computer system that have a model of the all the aspects of the grid in their area (power generation plants, system transformers, and various large loads). The computer systems monitors all these aspects of their part of the grid in real time, along with forecasting generation and load figures from companies, and determines if there is an excess or shortage of power in the area. In order to balance the load across the grid, and minimize system limitations, the RTO will set power prices for each facility to economically encourage them to balance the load. These power prices can change every 5 minutes, and facilities get paid or charged by the hourly average of those prices. The RTO for my plant is called MISO (Midcontinent Independent System Operator). If you follow this link, you can see the power prices in my region, which will update every 5 minutes. See if you can find my plant – It’s at the bottom of Indiana with the LMP Point: SIGE.WARR4SIGE. That’s all for this post! I’ll be posting some additional information about the grid, power plants, and moving to other technologies in the near future. Please leave comments! This entry was posted in Electric Grid and tagged Electric Grid on June 12, 2015 by 1johnkitchen. I am a Technojunkie that is always looking for ways to improve things – ever since my adolescence, I’ve dabbled in every technology that was available to me; computer, electrical, mechanical, operational, people, and processes.